Call center QA is a critical function for contact centers in Scottsdale and Phoenix Arizona and across the USA. While the purpose of a call center is to satisfy customers and solve their problems, a poorly run call center can have the opposite effect- and the ramifications can be devastating for a business. Unfortunately, many businesses lack the skills and tools to fully understand the performance of their contact centers. They may have no good way to gather information, or may have too much data and no efficient way of sorting it. Either way, failure to harness the power of call center quality assurance can have huge negative impacts for an organization. A sophisticated software program can help companies manage and metric their call center QA. By implementing such a program, they may be able to avoid some of the common pitfalls associated with contact centers. Three of the most prevalent issues faced in contact centers are poorly trained associates, capacity issues, and customer frustration. Even one of these issues can have damaging effects on customer satisfaction. Poorly trained associates are unfortunately common in call centers. Given the typically high turnover of the job, associates are frequently new and learning as they go along. Additionally, with the fast pace of the contact center, even seasoned associates may have trouble keeping up with new scripts and changing dynamics in their customer interactions. Capacity issues are another bane of call centers. Uneven contact flow can lead to both costly downtime for employees, or long wait times for frustrated customers. This tends to have a domino effect, as busy associates become more harried and irritated customers become more short tempered. Finally, customer frustration with the contact experience itself can be a common gripe. Customer may be confused by the menu, unable to reach an associate or the appropriate associate to help them, and annoyed with the wait time. These unhappy customers may avoid future contact, or even share their negative experience with others. A software program such as Evaluate Quality can help implement call center QA and mitigate these common pitfalls. The Evaluate Quality call center monitoring solution includes the ability to manage and metric call center QA in an actionable way. With the data gathered from Evaluate Quality, managers can better understand and address gaps in associate training. Predictive modeling allows the organization to better plan staffing for call volumes, mitigating frustration from associates and customers alike. 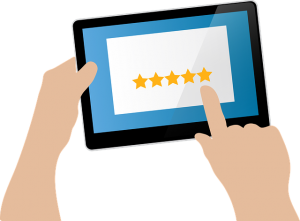 Finally, customer satisfaction metrics can help root out customer frustration issues so they can be addressed. Whether your business is in Scottsdale or Phoenix Arizona or anywhere else in the US, it could benefit from the sophisticated solutions available from Evaluate Quality, founded by Sage Advantage. Contact them today to schedule your demonstration.